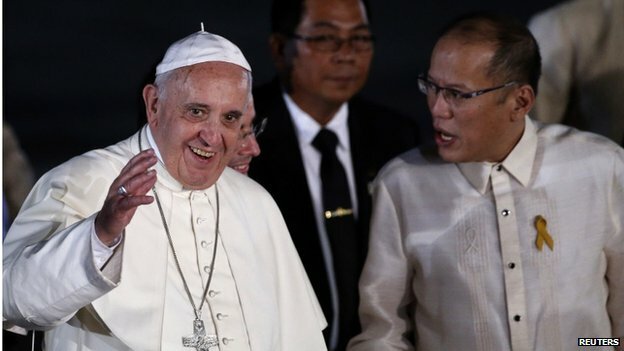 “Pope Francis has celebrated an outdoor Mass in front of unprecedented crowds in the Philippine capital Manila. Six million people attended the ceremony or lined the Papal route to Rizal Park, city officials estimate. “Pope Francis called for leaders “to reject every form of corruption. He said that the Bible emphasized that there was a duty “to hear the voice of the poor” and “break the bonds of injustice and oppression which give rise to glaring, and indeed scandalous, social inequalities”. “Huge crowds have watched Pope Francis celebrate Mass in Sri Lanka, at which he canonised the nation’s first saint. 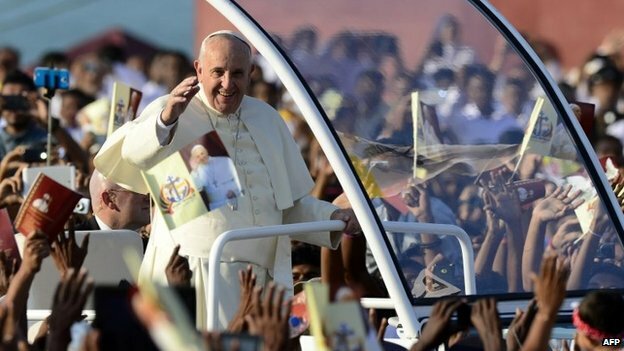 The pontiff urged people to follow the example of 17th Century missionary Joseph Vaz at the service in Colombo. Pope said the missionary’s life showed the importance of transcending religious divisions, emphasising that genuine worship of God bore fruit not in violence or hatred, but in respect for the sacredness of all life. 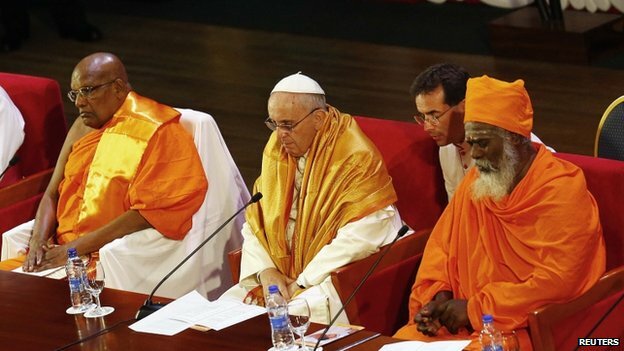 Pope Francis met a group of Buddhist, Hindu and Muslim leaders, urging reconciliation.